The Antimalware Service Executables procedure has a significant function in the Windows Defender Service which comes bundled with Windows 10 (and, regardless of the similarities in name, is entirely unrelated to Emsisoft Anti-Malware!). But it’s also notorious for consuming a lot more than its fair share of CPU processing capacity and may even single-handedly lower your computer’s rate into a glacial crawl. 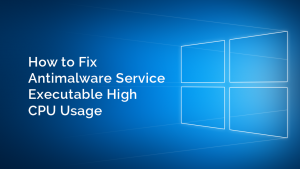 If you are a Windows Defender user and also have noticed high CPU use for long intervals, you will be delighted to know that the problem can easily be solved. 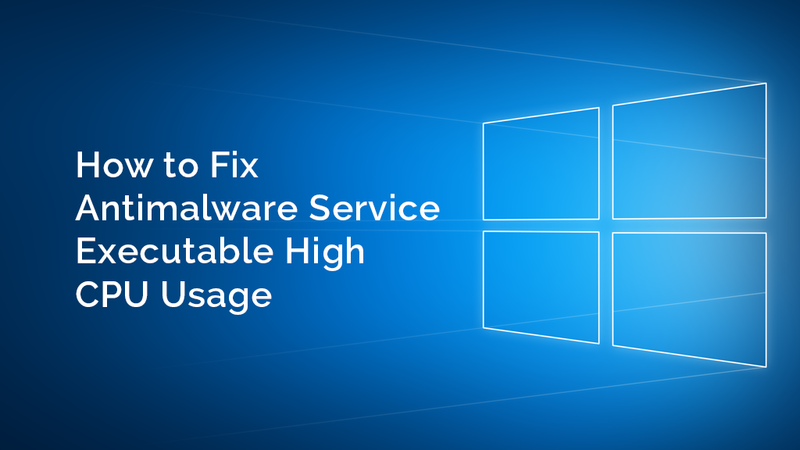 In this guide, we have compiled a couple of straightforward actions that you may follow to stop Antimalware Service Executable from hogging your system’s resources and keep your system running smoothly. What’s the msmpeng.exe Antimalware Service Executable? Can you use Windows Defender to protect your PC? If this is the case, open the Windows Task Manager (Ctrl + Shift + Esc or Start Menu > Task Manager), scroll through the listing of background procedures and you’ll locate a procedure named Antimalware Service Executable and its corresponding document msmpeng.exe. This procedure enables Windows Defender to constantly track your pc for possible dangers and supply real-time security from malware and cyber attacks. At precisely the exact same time, but it may also be the source of high CPU usage. Another Windows Defender attribute which could possibly be responsible for slowing your system down is its Complete Scan, that plays an extensive check of all documents onto your PC. Complete Scan depends heavily upon the CPU and isn’t reluctant to use whatever tools your system has available; as a consequence, you might experience lag, flaws, hanging along with other system disruptions if it’s running. Although it’s normal for anti-virus apps to consume machine resources when running a scan, Windows Defender is much greedier than many. It’s known to use excessive CPU for long intervals and execute scans directly when you are waking the computer to rapidly send an email or assess a web site.